Hangzhou Rongxin Electronic Equipment Co., Ltd locates at the bank of the beautiful West Lake of Hangzhou , China . It is a famous Ozone water,Ozone generator,ozonator manufacturer in China . 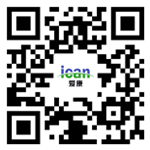 Over more than a decade since its founding, the company has experienced continuous growth with the concerns and cares of the insiders and has taken a shape of the scale production of "ican" brand ozone generating equipment and a series of products including various ozone corollary equipment and so on. We mainly offer ozone generators (air source and oxygen source ), ozone water treatment devices , and oxygen generators . Besides , we also provide air filter , ozone tester , mixing devices , such as : tube mixer , mixing tower , and so on . We can produce ozone generator from 3g/h~1kg/h and other relative stuffs , products . 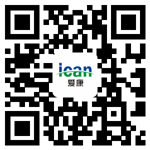 We have CE , sanitation approved documents awarded by Chinese government , and so on . Our customers extend from America , Africa , Europe to Asia . "Specialized Production and Intensified Service" is our unchangeable promise. We sincerely look forward to establishing business relationship with your company in the near future .